In order to live in peace and comfort, the first thing we are trying to protect our home from cold and noise. For centuries, people have sought protection from the summer heat and winter cold. First, fire was used for heating fires and fireplaces, later they were joined by electric heaters. But if you use mineral wool insulation as insulation, then you can escape from the cold, and from the heat in the summer. Minvata whose technical characteristics we consider in this article has several varieties, each of which has its own advantages and disadvantages, so you need to carefully study them before you buy. Next, we consider which of the materials can be considered mineral wool and their properties. According to GOST 52953-2008, insulators belonging to the class of minvat can be considered three materials: glass fiber, fiber, made from slags, (slag wool), and also stone cotton wool. All these materials have different lengths and thicknesses of fiber and differ from each other by parameters. In particular, they have different resistance to stress, thermal conductivity, moisture resistance and ability to withstand heat. 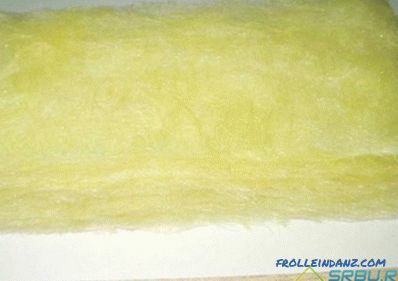 Glass wool, commonly used for insulation in Soviet times, and today is quite cheap. But it, in contrast to slag and stone wool, is very prickly. Working with it requires the use of precautions. And now let's talk in detail about each of the types of mineral wool and list their characteristics. This material consists of fibers from 5 to 15 microns thick and from 15 to 50 millimeters long. They make glass wool elastic and very durable. That's just to work with it must be very carefully - because fragile glass filaments, having broken, can stick into the skin, get into the eyes and injure them. If you accidentally inhale glass dust, you can also damage the lungs. Therefore, when working with this heater, you must wear a disposable protective suit, goggles and a respirator. Do not forget to protect your hands - wear gloves. The permissible heating temperature is up to 500 degrees Celsius. The optimum heat will not exceed 450 degrees Celsius. The permissible cooling temperature is minus 60 degrees Celsius. This is what ordinary glass wool looks like. This material, produced from blast furnace slag, has a fiber thickness of 4 to 12 microns, and their length is 16 millimeters. Since slags have such a property as residual acidity, in a damp room they can aggressively affect metal surfaces. In addition, slag absorbs moisture too well, so it is not suitable for thermal insulation of building facades. For the previous two reasons, it is not suitable for the insulation of water pipes, both metal and plastic. In addition, this material is fragile, so prickly, if you take it with your bare hands. Heat conductivity coefficient (for dry matter) - from 0.46 to 0.48 watts per meter per Kelvin. The maximum permissible heating temperature is up to 300 degrees Celsius. When this value is exceeded, sintering of the fibers occurs, and the material ceases to be a heat insulator. In this variety, mineral wool fibers are about the same size as slag wool. But they have a significant advantage - they do not prick. Therefore, it is much safer to work with stone wool than with glass or slag material. Its coefficient of thermal conductivity ranges from 0.077 to 0.12 watts per meter per Kelvin, and it can be heated to 600 degrees Celsius. By the way, if you mean insulation mineral wool, then it is usually about stone wool. Cutting stone wool into slabs. Of all its varieties, basalt wool has the best parameters. It is made, as well as usual stone, from a gabbro or diabase. But in the rock wool there is also blast furnace slag, the mixture and mineral components - clay, limestone and dolomite. These impurities contribute to an increase in mass flow, they can be up to 35 percent of the volume of the whole substance. A binder component based on formaldehyde resin is less contained - from 2.5 to 10 percent. Reducing the volume of this substance makes the material less moisture resistant, but the threat of evaporation of phenol is also reduced. This reduces the risk to human health. Wool from basalt is different in that it does not contain any additional components, either mineral or binders. Therefore, it can safely withstand heating up to 1000 degrees Celsius.And you can cool it to minus 190 degrees Celsius, which absolutely does not damage this thermal insulation material. Basalt fiber is easily molded into rolls or sheet material, it is also convenient for them to stuff mats. And it is sold in bulk. Both ordinary stone and basalt cotton wool do not burn - if they are heated above the permissible temperature, the fibers of the material will only melt, caking with each other. 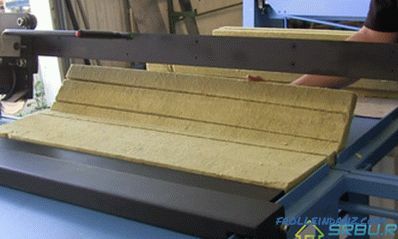 Mineral wool is produced in the form of slabs and mats. They warm the roof, ceilings and floors, interior walls and partitions. You can work with both flat and non-standard surfaces. Difficulties in using this material usually does not arise. Since the density of mineral wool may be different, according to this parameter, several of its marks are distinguished. Further more about each of them. The density of this material is 75 kilograms per cubic meter. It is well suited for insulating horizontal planes that are not subjected to heavy loads. In particular, this attic space, as well as some types of roofing. Another cotton wool of this brand is wrapped to preserve the heat of the heating plant pipes, as well as gas and oil pipes. Manufacturers produce mineral wool and lower density, but it can be used only where there is no stress at all. 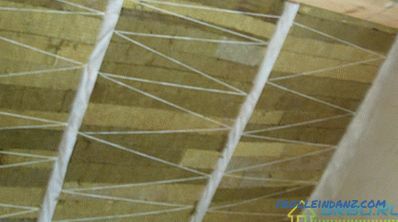 Material with a density of 125 kilograms per cubic meter is suitable for insulation of the floor or ceiling, as well as partitions and walls inside the room. 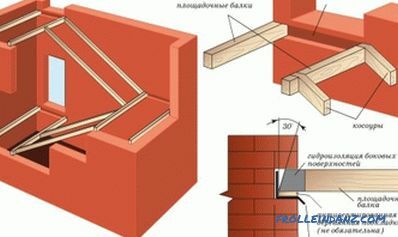 In low houses made of brick, expanded clay concrete or aerated concrete, such wool can become the inner layer of a wall consisting of three layers. 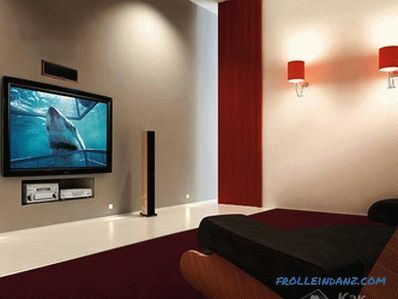 The material of this brand also has good sound insulation properties. Using it, you can not only insulate the building, but also protect yourself from noise. This material is not only dense, but also has increased rigidity. 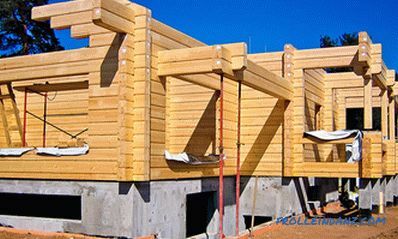 It is usually used for the insulation of floors and walls made of reinforced concrete or sheet metal. This abbreviation means that the slab of mineral wool has increased rigidity. Apply it in the same cases as the previous brand. The only difference is that the PPG-200 brand can still be used as additional protection against fire. Attic warmed with pieces of stone wool. Although stone wool fibers do not prick, their tiny pieces can still rise into the air, like dust. There is a danger of inhalation, which is not at all healthy. There is another danger - the formaldehyde resin that is part of this material can poison us with phenol, which is released from it. But these troubles can be avoided if you follow the safety precautions. First of all, do not forget to wear a respirator when working with mineral wool. 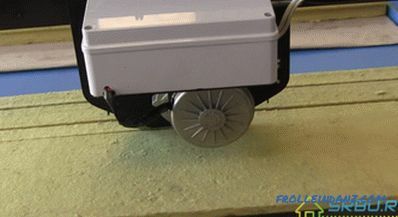 And also cover the insulating surface over the entire surface with a vapor-tight PVC film. As for phenol, it will not precipitate out of mineral wool at room temperature. Naturally, if you buy a good material manufacturer. However, when the material is heated to a temperature above the limit, phenol still gets out of control. What to do in this case? Try to prevent such strong heating of the insulation. If this is excluded, then take a more expensive, but absolutely safe superthin basalt fiber. Already from it no phenol will not stand out. Whatever you choose, try to buy products of a reliable large brand - in this case the real technical characteristics of the mineral wool will strictly correspond to those stated. We list the manufacturers who produce mineral wool of excellent quality. This, in particular, "URSA", "ISOVER", "PAROC", "Rockwool". One of the best is mineral wool originally from Germany. If she met you in the store - buy boldly. After all, more than in any country of the European Union there are no such picky certification bodies. So no wonder they say that German quality speaks for itself. 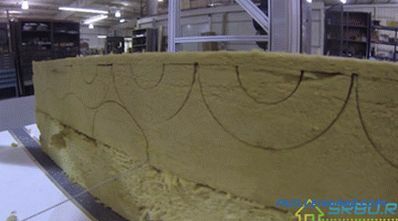 Cost of mineral wool depends on its density. The higher this indicator, the more difficult it is to produce the material, and the more the original substance is required during its production. This is obvious - as the density increases, the number of fibers increases. Although slag and glass wool have tempting low prices, think carefully before purchasing them. These materials and as sound insulators are very mediocre, and heat is not kept very well. But you will not have problems installing during installation - if glass wool gets on the skin, the affected area will be inflamed and scratched for a long time. Ask the seller in which direction the fibers of the material are located. If they go vertically, the mineral wool will better save heat and protect from noise. When the fibers are arranged chaotically, the material becomes more durable, withstanding considerable dynamic loads. Check if this product is made according to GOST - this is indicated on the packaging. So, mineral wool slabs are made according to GOST 9573-96, sewing mats - according to GOST 21880-94, and PPL plates - according to GOST 22950-95. Now, about such an important detail as the size of the mineral wool. When you come to the store to buy this material, carefully study its characteristics, and then ask the seller to open the package. It is not worth listening to the assurances that the size of the plates is really 5 centimeters, no more and no less. It is better to make sure of it personally.